Greetings! 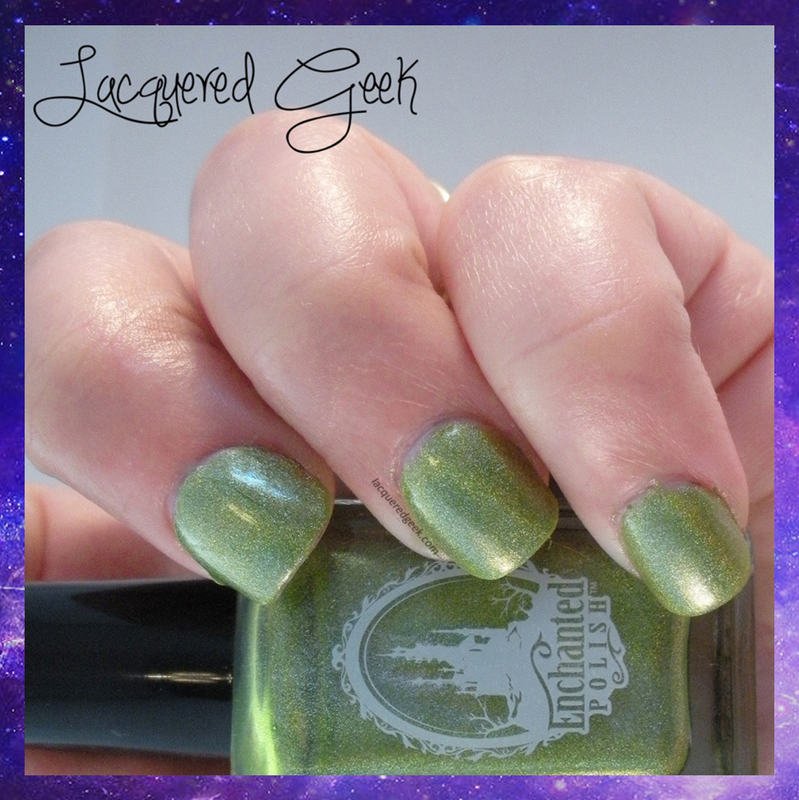 When Enchanted Polish did the restock for March and April, I was driving to FL for vacation, and completely missed it. I was so upset, and hoped that I would hate the colors! When the first glimpses of the polishes started trickling in, I knew I was going to be searching blog sales for March; I had to have it! 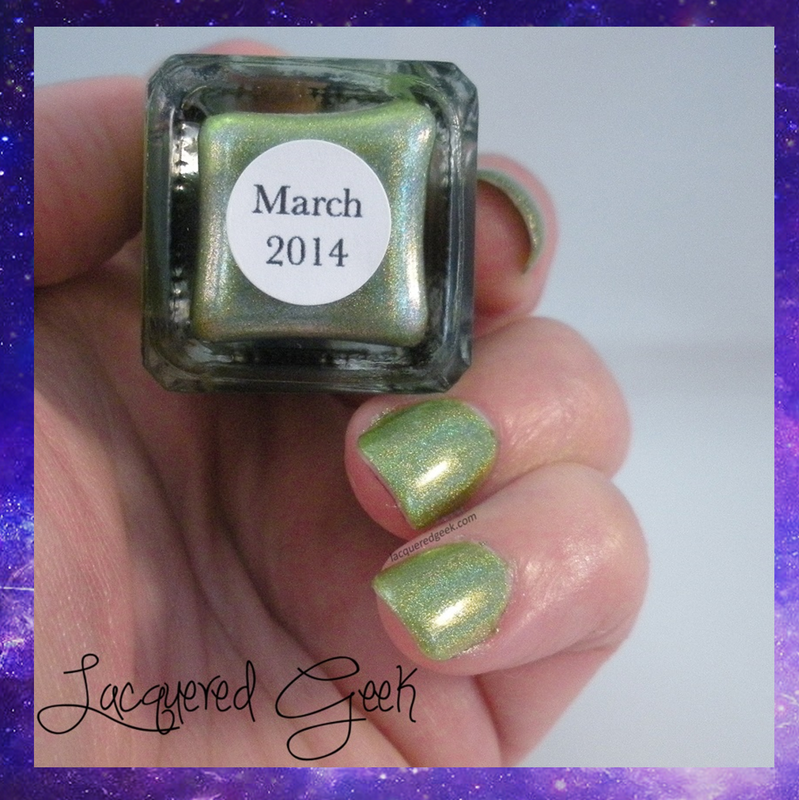 March 2014 is a bright Jolly Rancher apple green linear holo. The color is so vibrant and bright. Even though this was a Spring polish, it is good color to help make a cold, rainy Fall day a little brighter. The muted indoor holo is still quite nice, just not quite as spectacular as it is outdoors in the sun. The formula was thin, almost like a jelly, but not watery. It went on very nicely, and I used 3 thin coats for the photos above. 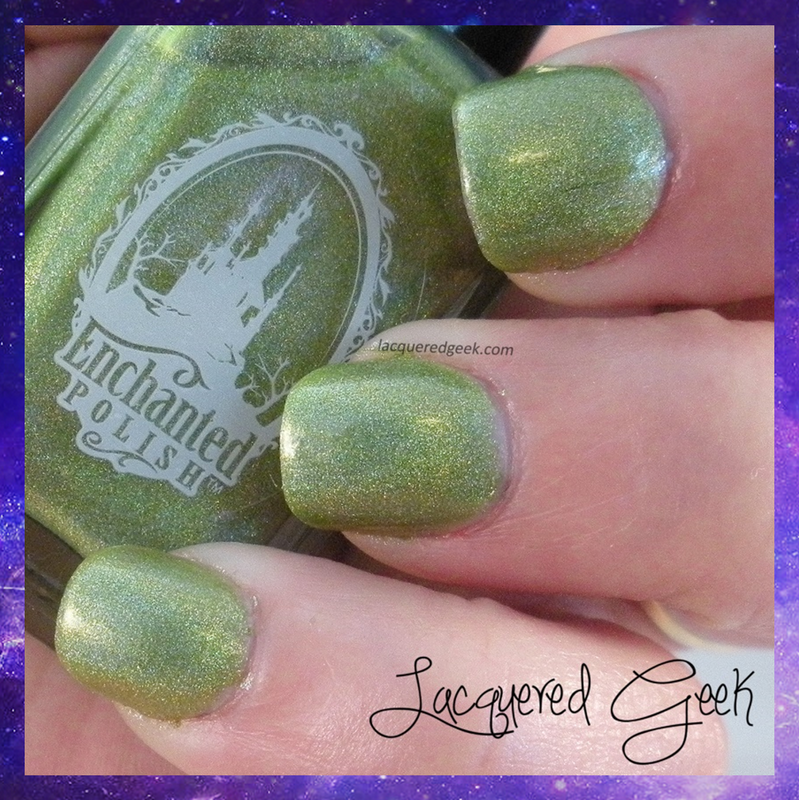 Enchanted Polish does a fair number of secret restocks, as well as announced restocks, and some pre-orders. The best way to stay on top of what's going on is to subscribe to her mailing list. This won't help on the sneaky secret ones, but you'll know about the normal restocks and pre-orders! Do you like wearing colors in the "wrong" seasons? Wow... This is a gorgeous color! I have to at least purchase one ! Great review! Great post! I always feel like EPs are way too difficult to get a hold of! I am wondering which blog sales you usually frequent to find such amazing polishes? I'm a member of several Facebook groups for nail polish sales, but I found this one on a blog sale on Store Envy. I love wearing colors in the wrong season xD I'm a dark colored polish wearer all year long!